COME VISit. We're in langley, bc. Sign up with your email address to be first to receive info (and occasional discount codes) for great events at Bez. SongStage is an event showcasing experienced songwriters in the format best described as the Nashville “in the round” style. The dancers from the Mirror Arts Program take to the stage for their 2019 year-end show with a series of original works by Mirror students, instructors and guest artists. Mirror Arts is Langley’s pre-professional mentorship and training program. Diane and her supporting cast of world class musicians combine high-octane musicianship and natural wit to deliver a uniquely feminine approach to the era of jump blues, swing and boogie-woogie. We are very excited to bring Black Hen recording artists The Eisenhauers to Bez. 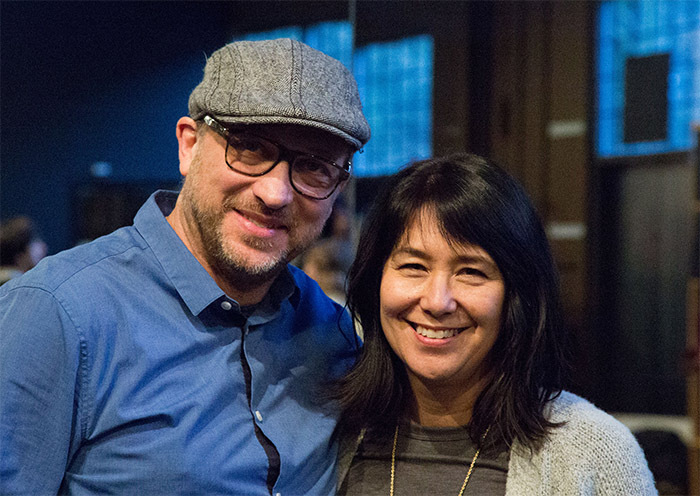 The ultra creative couple, Jeremy and Sheree, are on tour supporting their new album, The Road We Once Knew and an evening with them is not to be missed. West coast bluegrass with an all star cast. Drum Clinic with John Legend’s drummer. A stacked cast of Vancouver Improv Comedians are coming to Langley to perform Saturday Nights! Got a secret talent that only your family sees/hears? It’s time to get out and show your greatness to the public! Sign up is at 6:50 and performances start at 7:00. Come as a performer or as an audience member. Never a dull moment at Open Mic Nights! Register for our weekly drop in classes via the Dance Barn website. Located just outside Vancouver in Langley, BC, this intimate venue is ideal for dance, theatre productions and concerts. The Bez Arts Hub, located just outside Vancouver, BC is Langley's newest arts venue and home to Dance Barn Studio, the Mirror Arts Program and Big Tree Publishing. 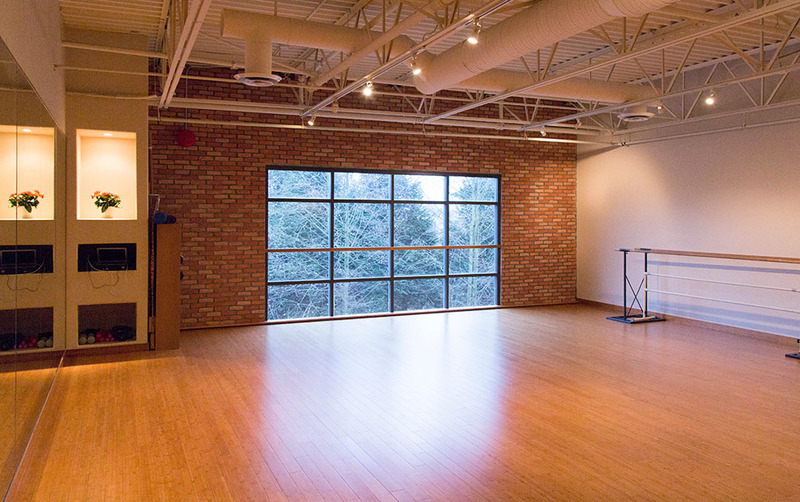 Featuring adjustable lighting, a sprung dance floor, sound system, and movable chairs and risers, this black box theatre is a unique space for your event or creative project. We're excited to curate a range of arts events at the Bez in the coming months and welcome inquiries from interested artists about renting the space when it's available. BTW, you can only access the entrance eastbound on 64 Ave, and we are down the side of the building that has Lifemark Physiotherapy on the front. Whether you're planning a recital or live performance, a launch party for your latest album, or you are looking for a photo studio with lots of natural light, we have space that works. It's a busy place so contact us immediately to start a conversation. A shot from a recent performance. We were so excited to have the Eisenhauers with us earlier this year. thought-provoking theatre, and inspiring dance, not to mention lectures and movies that invite you to see the world sideways. If you've celebrated Canada Day in Vancouver in the last few years you may have danced with Russ and company at the tail end of the parade. His enthusiasm for our nation is hard to hide; he knows it well. He and Sandy have traveled this country from coast to coast, but have also taken their shows around the globe. For several years Sandy has run Dance Barn Studio in Langley, but when she had to relocate the business recently, they decided to create a space for more than dance. Bez Arts Hub is a live performance venue that sits in centre of the Langley retail district and they want it to be a place that celebrates and promotes the arts in the lower mainland and around the world. Thanks for stopping by the online home of the Bez Arts Hub. Please introduce yourself. Planning an event or production? Looking for a site to film a scene for a movie? Want to connect about the arts? Be on our mailing list? Please say so. You're always welcome to come on by but we read our emails too, at least after coffee. Before you go, take a look around and notice where the light is shining in. Like what you see and want to go ahead with booking? Fill out our booking request form and we'll get back to you with a confirmation and quote as soon as we can! For 12 years Dance Barn Studio has been offering dance training in Langley, BC and surrounding areas. Check out the styles and unique classes we offer and SIGN UP NOW for fall 2017 so you don't miss a spot! Mirror Arts programs provide foundational skills training, creative mentorship and interactive thought, all grounded in contemporary culture and Christian faith. Join a community of young creatives and seasoned veterans ready to collaborate and invest in you.